Before a drug can be approved as safe for human use by the FDA, it has to undergo rigorous testing to ensure its safety. Unfortunately, there are many drugs that seem safe in trials but are then recalled when they are found to cause damage to the liver. Nearly every drug that we take ends up passing through the liver since it is the body’s natural toxin filter, but the testing resources available to drug companies aren’t as effective as they should be. 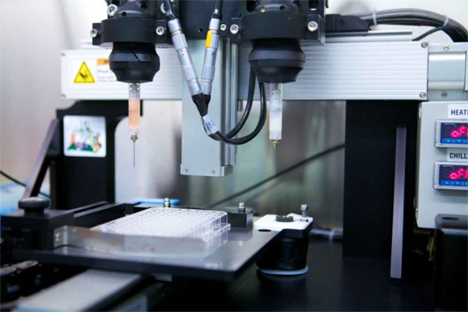 Now, Organovo’s mini 3D printed livers could change that and remove some of the risk of new medications. 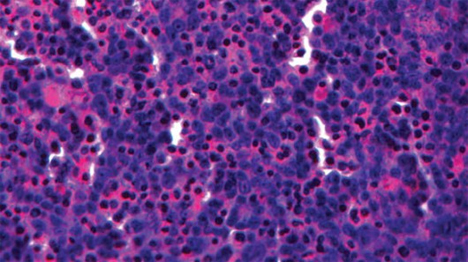 Organovo has been printing real human livers – albeit on an itty-bitty scale – since 2013. These exVive3D, as Organovo calls them, are now available for sale to pharmaceutical companies for drug trials. They are roughly hexagonal in shape and consist of of primary human hepatocytes, stellate, and endothelial cell types, which are all found in natural human livers. The mini-organs are stable for at least 42 days, as compared to the 48-hour active lifespan of industry-standard 2D liver cell testing systems. This is a giant leap forward in drug testing and the creation of safer medicines. Until now, drugs have been tested on lab rats and on tiny single layers of liver cells in the lab, but those tests can’t always predict how the drugs will interact with actual living human livers. Organovo used the exVive3D “livers” to test a drug which had initially been approved by the FDA but later recalled because it was found to cause liver damage. The drug had passed the original traditional drug trials, but the Organovo models detected that it would cause liver damage. 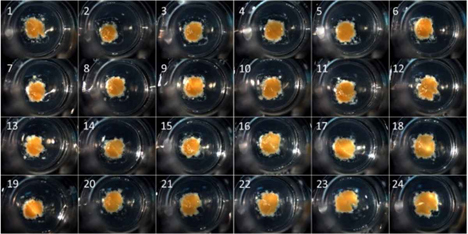 Going forward, using these tiny 3D printed livers could – and should, in our opinion – become industry standard for drug testing. Switching over to actual 3D printed organs for drug testing could dramatically reduce drug recalls and associated adverse health effects. See more in Medical Marvels or under Science. November, 2014.